Rooms with a double bed or two single beds. Each room has been created to meet the needs of every type of guest. The rooms are fitted with an interactive plasma TV, mini-bar, a large desk on which you can work, free ADSL Internet ADSL, safe suitable for laptops and telephone. There is a practical and elegant bathroom with a careful selection of amenities. A room ideal for all types of guests. 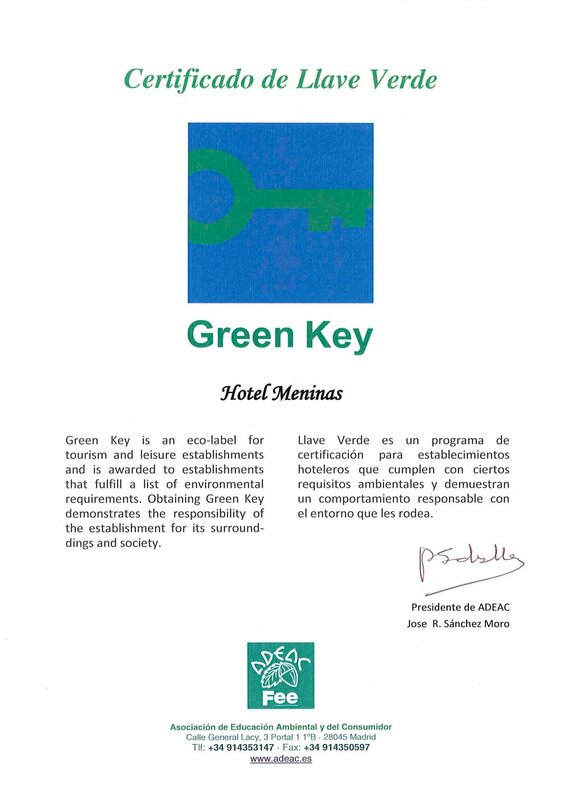 Meninas Hotel is located in the historic centre of Madrid. It has been refurbished and transformed in an excellent hotel combining new and past elements.